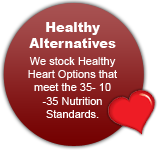 You�ve turned over a new leaf and decided to try out healthier options. Good for you! 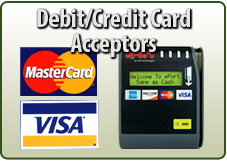 At Shamrock Vending, we�re here to help. 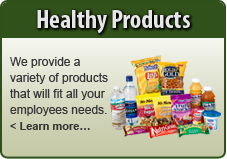 With a wide variety of healthy vending options that contain reduced levels of fat, cholesterol and sodium�trail mixes, baked chips, fruit bars, granola bars, juices and bottled water�there�s no reason for your employees to refrain from enjoying a snack when their energy levels begin to plummet. 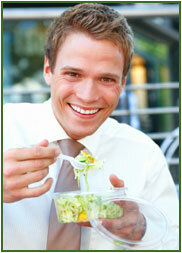 We understand—and applaud—the importance of promoting healthier eating patterns in the workplace. We know, as you do, that encouraging healthier lifestyles results in higher productivity rates and increased scholastic achievement. Healthy food is good fuel. 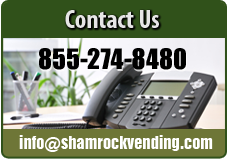 Call us today (855) 274-8480 for a free, no-obligation quote or email us at info@shamrockvending.com to learn more. Our service area includes but not limit to: Dublin, Macon, Cochran, Eastman, McRae, Vidalia, Soperton, Swainsboro, Wrightsville and Sandersville.